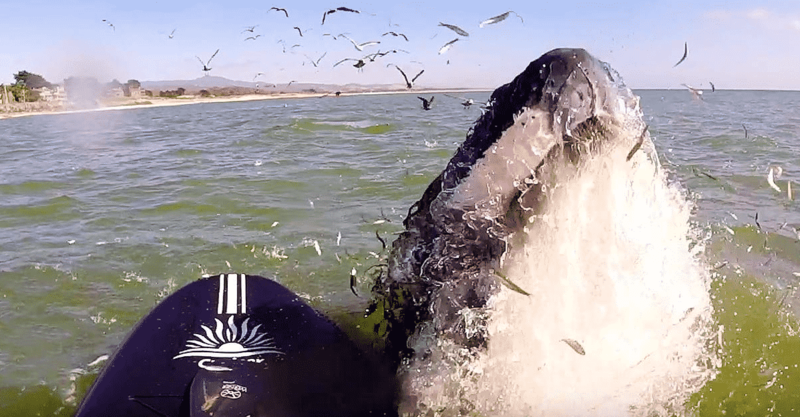 How would you react if you came face-to-face with a giant humpback whale? 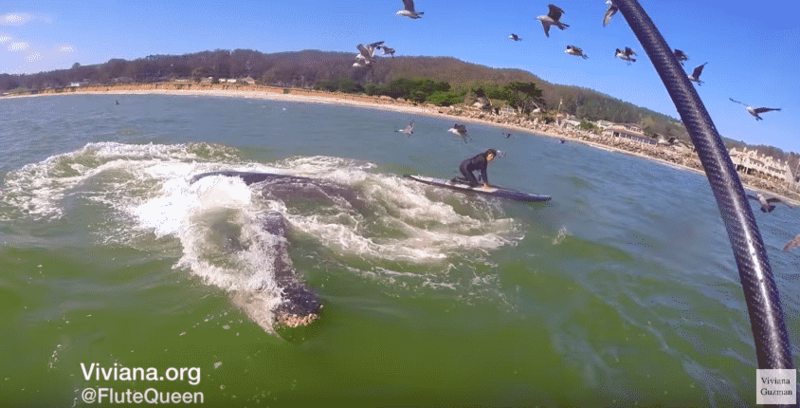 Well, one flute player got the experience of a lifetime when a whale almost knocked her off her paddle board. 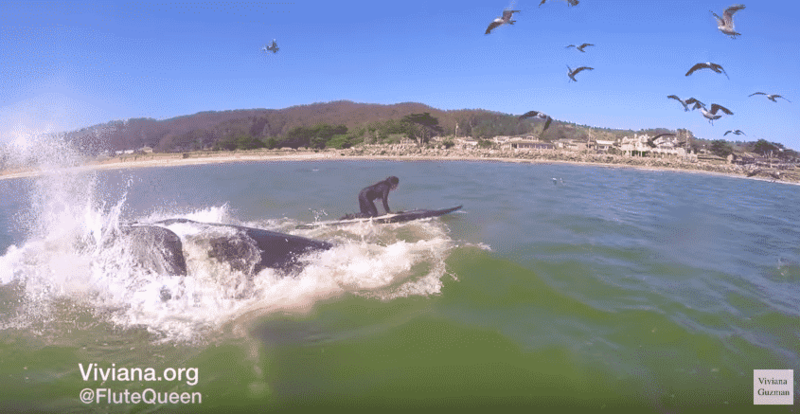 You’ll be blown away at how close this paddleboarder got to a whale! 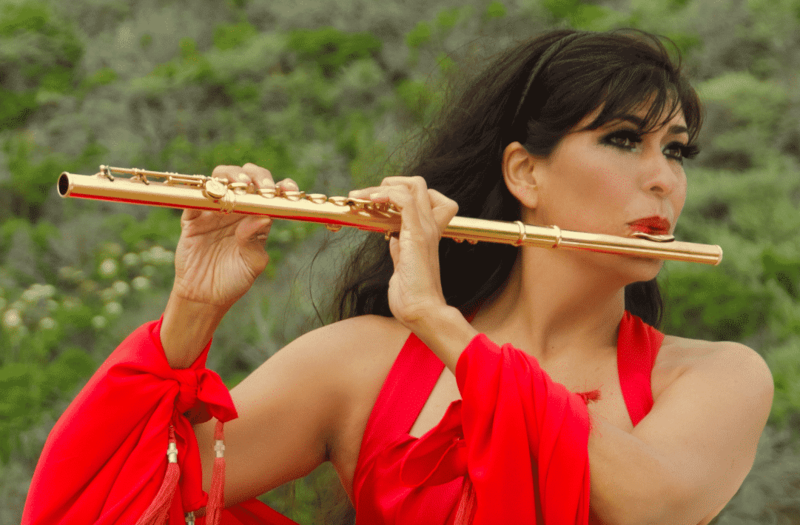 Viviana Guzmán is a Chilean professional flutist. She has performed in 122 countries and holds 80 concerts a year. She has even been recognized by big publications like The New York Times. Guzmán has been described by The New York Times as “an imaginative artist”. Along with many CDs and live performances, she also has a YouTube channel that she regularly uploads onto. Her YouTube channel is a pretty big hit. 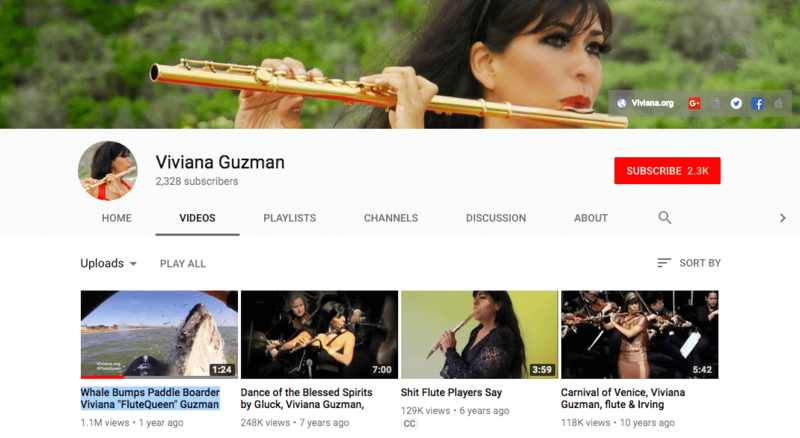 On Viviana’s YouTube channel, you can find tons of her live performances available to watch. 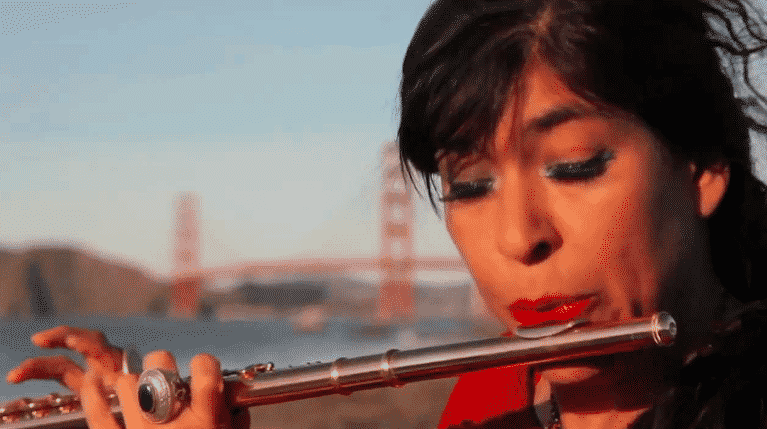 However, her flute playing isn’t the only thing that she happens to be known for. In fact, Viviana happens to have a hobby that no one would have guessed. 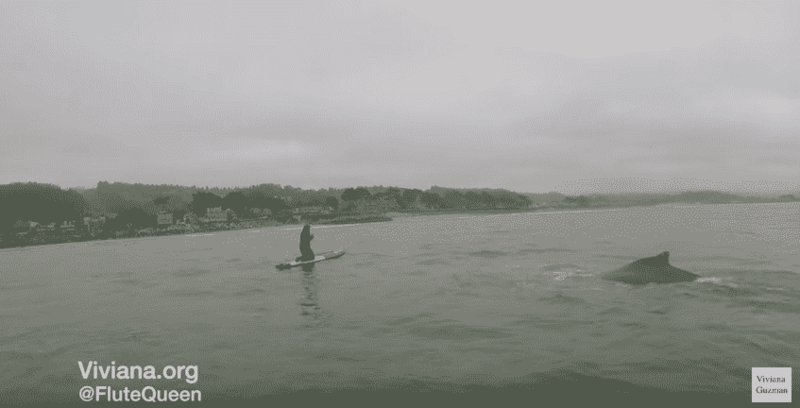 Paddleboarding is a water sport that utilizes a surfboard or paddleboard to move you around in the ocean. 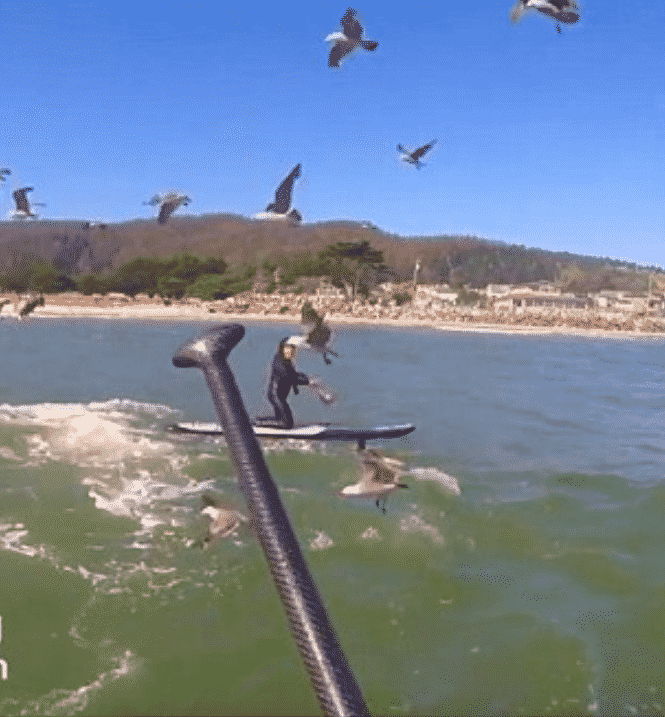 You can either sit on the paddleboard or stand. The sport has gotten quite popular over the years and serves as a great full-body workout. 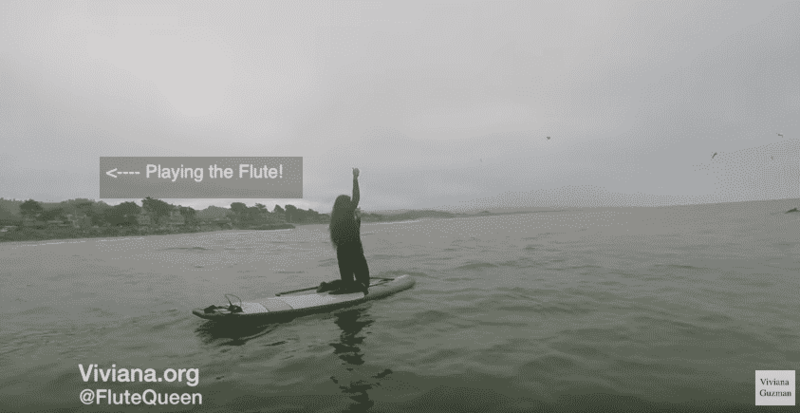 While sitting on her paddleboard in the middle of the ocean, Viviana decided to pull out her flute and begin playing. 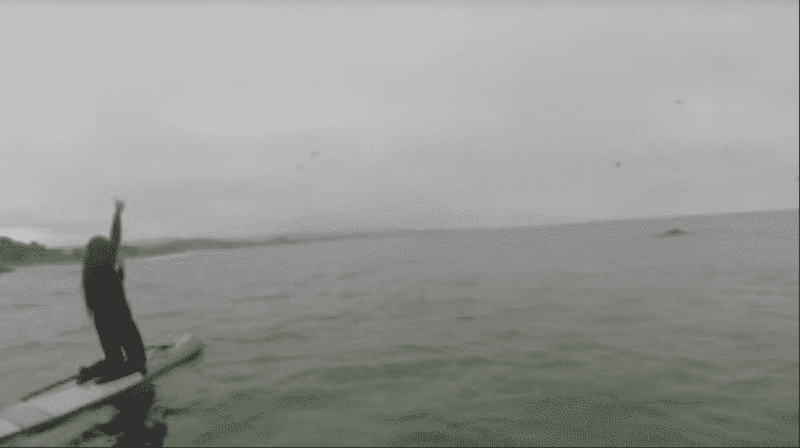 She wanted to play a song for the creatures that dwelled in the ocean. Little did she know that one would be joining her very soon. 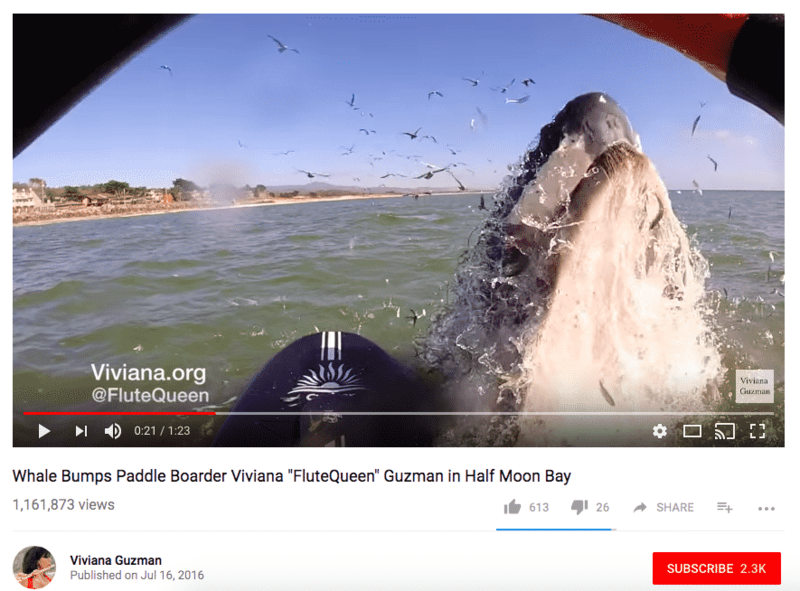 In a video that she had recorded, Viviana was spotted sitting on her paddleboard and playing the flute. 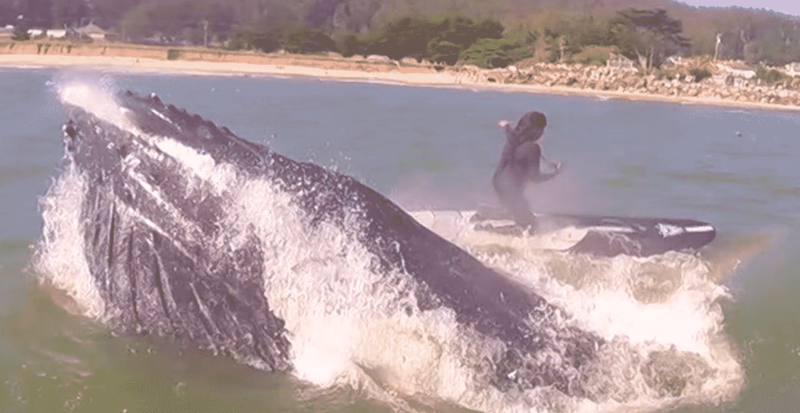 Suddenly, out of nowhere, a giant humpback whale lunged up right in front of her. She has nearly blown away! Someone else that was with her on the trip was also filming the experience. 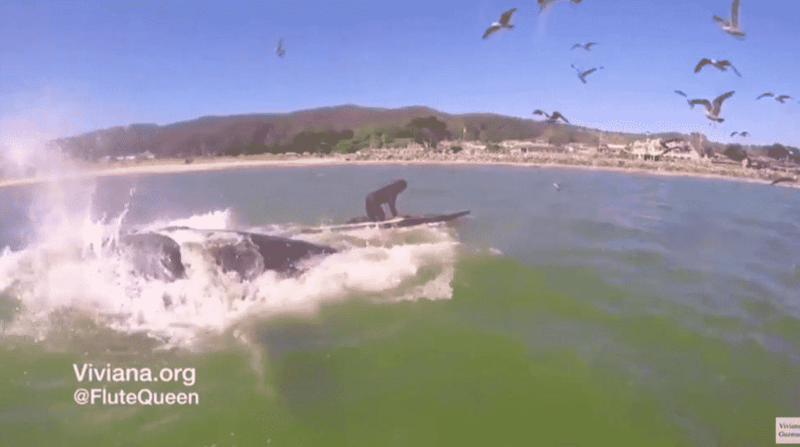 From the other person’s camera angle, you could clearly see what the whale was jumping out of the ocean for! So what was it doing?! 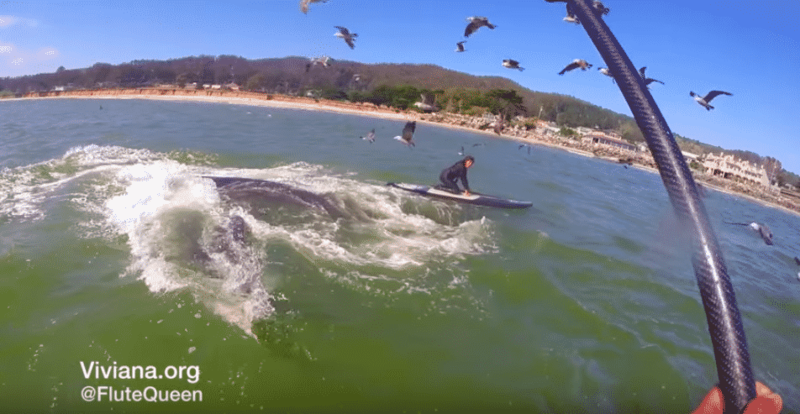 In the video footage, you can see the giant whale come out of the water with a mouthful of fish in its mouth. 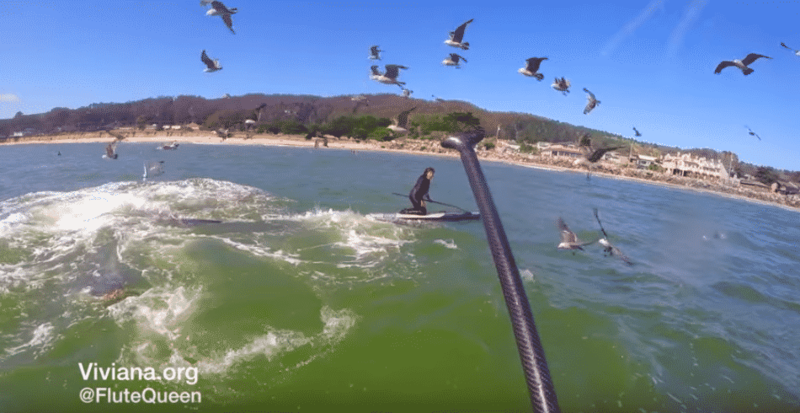 Viviana was in complete shock and almost fell off her paddleboard as the waves rocked her. Luckily, she managed to stay on! 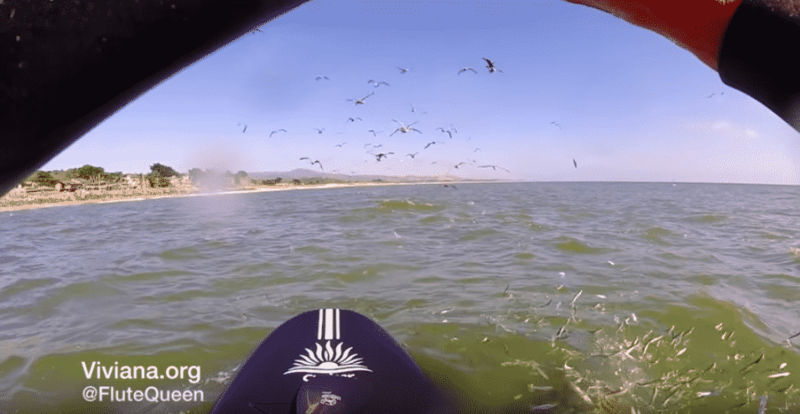 Viviana truly believes that it was her flute playing that brought the whales so close to her. 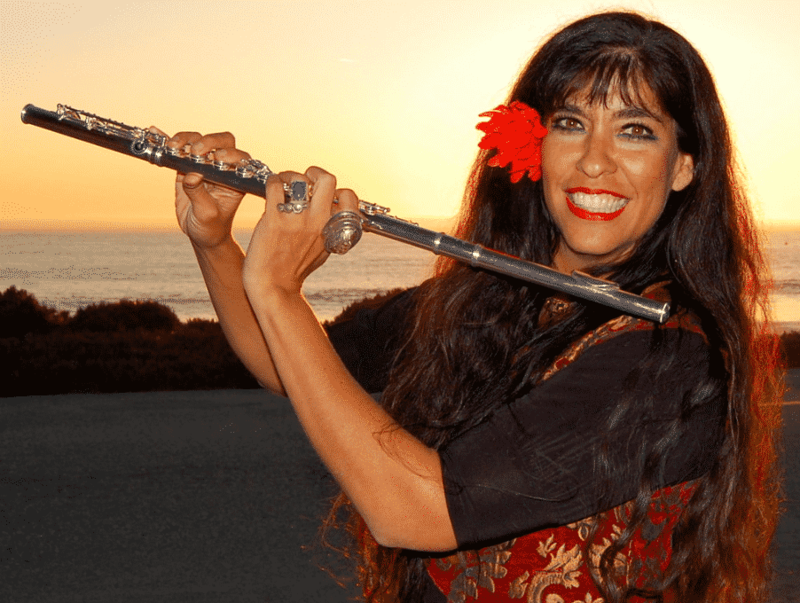 “I play my flute for the whales, and they come!” Viviana wrote of the experience. 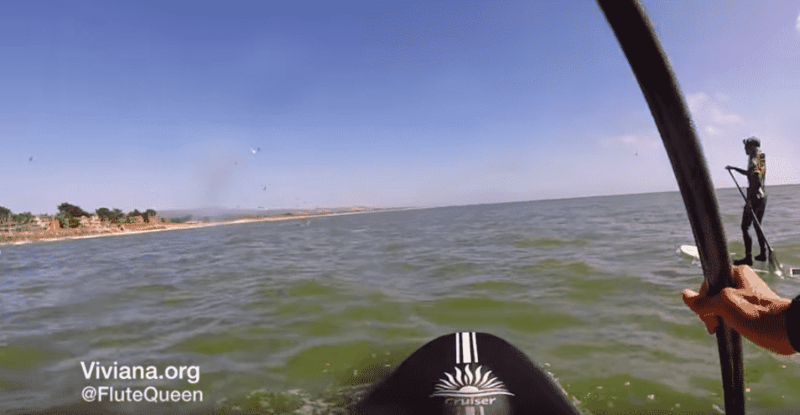 She later went on to upload the video footage onto her YouTube channel. Viewers were also genuinely amazed at how calm and collected Viviana was throughout the entire experience. 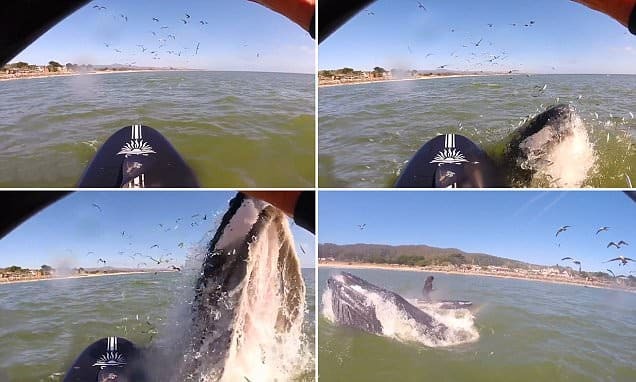 Another person wrote: “That would have put my heart into cardiac arrest.” Believe it or not, this wasn’t the last experience Viviana had with the whales in the bay. Viviana’s flute playing seemed to have brought over another whale. Her partner quickly noted, “She came to you!” It was obvious that the duo were excited for a second encounter. 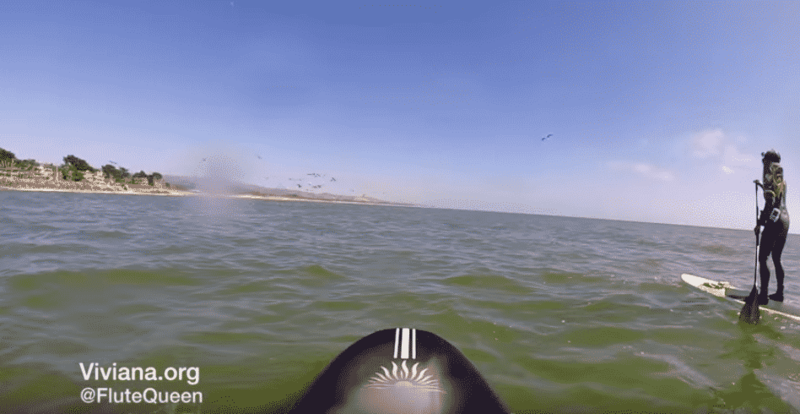 It is almost hard to believe that Viviana was able to get so close to a whale and all thanks to her fabulous flute playing. 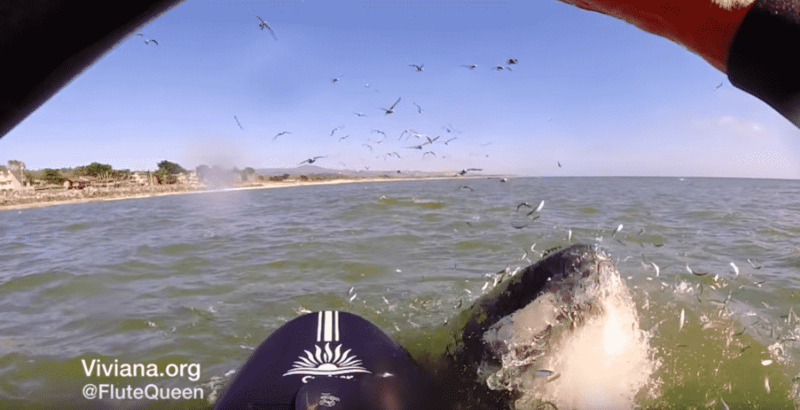 With the use of technology, all of us can experience the once-in-a-lifetime encounter with her!